The climactic heat resulted in the shortest and most disastrous North Pole season from Svalbard ever. The political heat may mean it’s also the last. The Barneo ice camp stopped accepting new expeditions and began shutting down Saturday, only 11 days after opening nearly two weeks later than planned, and officials there stated in a post on their official Facebook they are planning to move their logistics operations from Svalbard to Franz Josef Land. The post does not specifically state the move will occur next year, but it does put most of the blame for this year’s disastrous season on new regulations enacted by Norway last year. Relocating North Pole operations would likely be a huge blow to Longyearbyen’s tourism industry at a time when officials are seeking to double the industry’s presence as a way to help replace lost coal mining jobs. March and April are by far the buisiest time of the year for overnight and long-term visitors, and expeditions to the North Pole generally purchase large quantities of supplies, hotel rooms and logistical support. Moving the transit point to Franz Josef Land, a Russian archipelago hundreds of kilometers northeast of Svalbard, would also likely present logistical challenges for expeditions due to Russia’s stricter entry requirements. 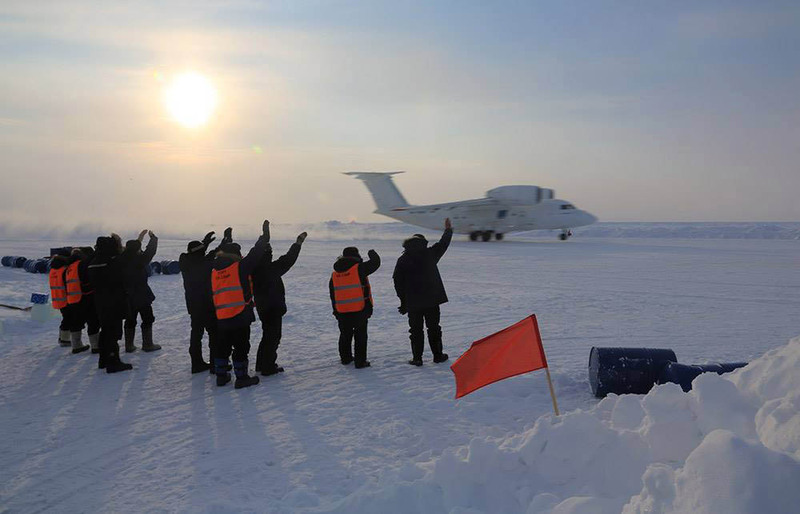 This opening of this year’s season, the 15th at Bareno, was delayed due to the inability to build a stable ice runway at the camp at 89 degrees latitude north following the worst sea ice season ever in the Arctc due to record high temperatures much of the winter. Even after the camp opened new runways continued to develop cracks that slowed or halted operations, forcing many of the hundreds planning to reach the top of the world to shorten or abandon their quests. Researcher have stated for several years that traditional North Pole expeditions may end within a few years due to climate change. But with the additional complications brought on the increasingly heated relationship between Norway and Russia, especially regarding their presence and roles in the Arctic, the end for Svalbard has already arrived. Norway passed the stricter rules after Russian Deputy Prime Minster Dmitry Rogozin made a stopover in Svalbard on his way to Barneo last spring, flaunting a ban on his entry into Norway and other Western countries due to his role in the Ukraine crisis. His entry into the archipelago was legal at the time under terms of the Svalbard Treaty, since residents of all signature natures are allowed access. The new regulations allows Norway to ban sanctioned persons from Svalbard as well as the mainland, and requires the advance list of passengers on all scheduled and charter flights. The law is in effect until The amended law is in effect until Aug. 31 of this year, with Minister of Justice and Public Security Anders Anundsen stating a permanent modification is being drafted and implemented. But Russia provoked Norway again this spring by having Russian-trained Chechen paratroopers landed at Svalbard Airport after completing exercises at the camp – which experts said almost certainly a violation of the Svalbard Treaty. Ane Haavardsdatter Lunde, a spokesperson for Norway’s Ministry of Foreign Affairs, responded by stating “as long as the applicable regulations are complied with, the Norwegian government has no objections with the flights via Svalbard,” without specifically addressing whether the landing was within regulations.